You’ve taken a bite of peach and tasted it’s juicy, fleshy fruit, but have you ever tried grilling it? When grilled, fruits release their natural sweetness and bring more delight to your mouth! 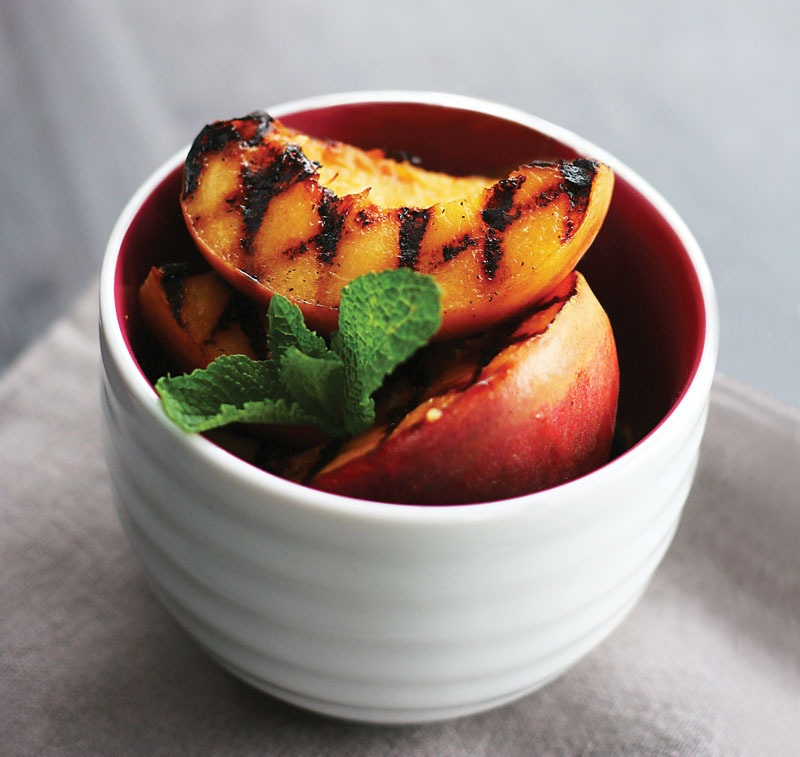 Grilled peaches are a light dish that will make your hot summer zingy with their fruiti-licious sensation! So zip by a Zupan’s, pick up some local peaches, and become the talk in town with this delicious recipe! 1. Place your grill on medium heat. Sprinkle the brown sugar over the cut peaches. Grill the peaches 1-2 minutes on each side. Don’t move the peaches around during that time, so as to achieve nice grill marks on each side of the fruit. 2. Remove from heat and let cool for a couple of minutes. Place in serving bowl and add mint.